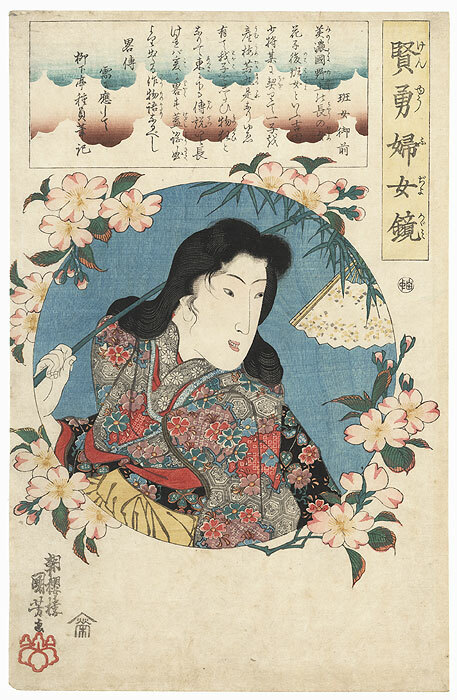 Hanjo-gozen with Cherry Blossoms, circa 1843 - Lovely design from a series featuring portraits of famous historic or legendary women in a circular inset surrounded by flowers. 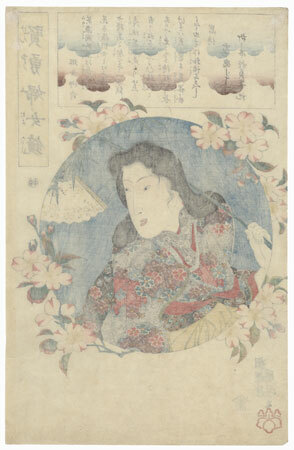 Here the young Lady Hanjo carries a bamboo branch over her shoulder with a fan tied to it. She smiles happily, her hair flowing loose over her shoulders. When she parted from her lover, the pair exchanged fans. 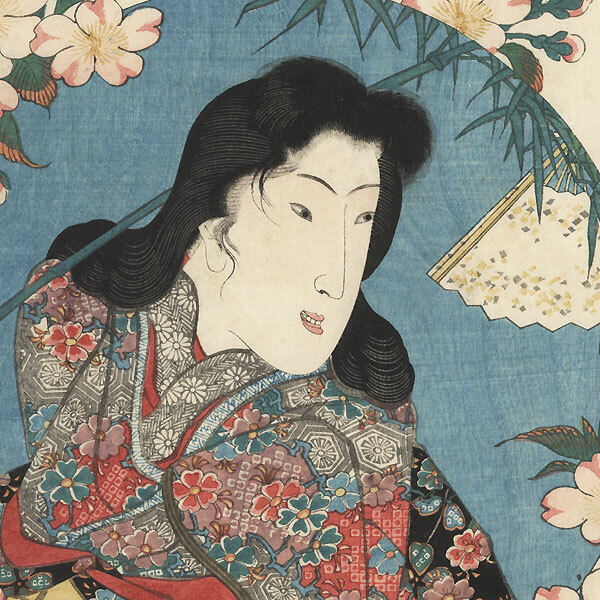 She later gave birth to their son, Umewaka Maru, who sadly was carried off by a slave trader. Beautiful cherry blossoms surround the inset. A very attractive image with soft color. Image Size - 14 1/4" x 9 1/4"
Condition - This print with excellent color and detail as shown. Slight soiling, slight rubbing at edge. Please see photos for details. Good overall.